Protocols for formally welcoming guests to Country (Tanderrum) have been a part of our culture for thousands of years. Tanderrum allowed neighbouring tribes temporary access to our resources and safe passage on our homelands. We continue this cultural practice by offering Welcome to Country ceremonies. 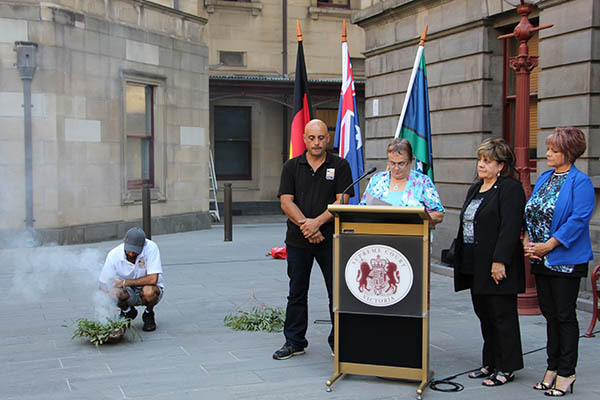 Engaging an Elder to conduct a Welcome to Country at your event is a way of recognising and paying respect to our people as well as acknowledging our ongoing connection to Country. Each Elder’s Welcome is unique as it reflects the experiences and beliefs of the attending Elder. A Welcome should occur at the opening of an event, preferably the first item.